[tps_footer]Sanjay Dutt will be released from jail on February 25, 2016 and soon, the actor will be back in action. Sanjay Dutt will be out of jail in two days‘ time and anticipation has already sky-rocketed. While the Dutt khandaan is waiting to receive Sanju baba with open arms, his fans are delighted. It’s been over three years that Sanjay has been in jail and now he’s finally coming out. It was reported a few months ago that Rajkumar Hirani had been working on the popular ‘Munnabhai’ series’ third installment script so as to have it ready in time for Dutt’s release. Hirani had said that he was in the process of writing Munnabhai and was eagerly waiting for Sanju to come back so that they could start filming. However, turns out that the very first film that Dutt will be associated with upon his return will not be with Rajkumar Hirani. Rajkumar Hirani is still busy scripting the idea of Munnabhai 3 but Umesh Shukla, director of OMG-Oh My God has already approached Sanjay Dutt with a film. Apparently, Sanju Baba has really liked the concept and will be signing the film shortly after he’s back from prison. While Sanjay is likely to be seen in a number of movies after his release, he also has plans to produce a film that will be based on one of his jail inmates’ life, says a statement. Previous articleSunny Leone, Alok Nath And Deepak Dobriyal’s Short Film Will Surely Make You Quit Smoking! 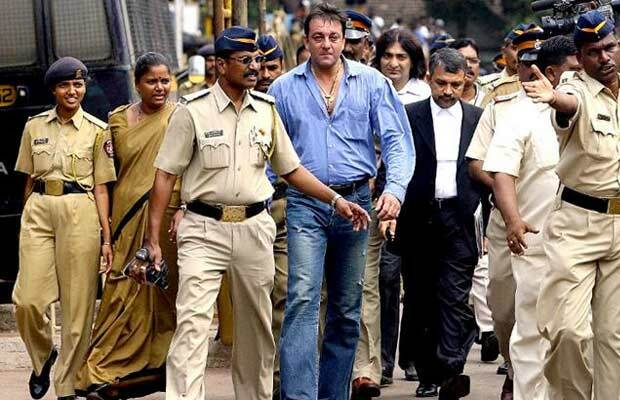 Next articleIn Pics: How 1993 Mumbai Bomb Blast Case Changed Sanjay Dutt’s Life!